Stinky tofu is beloved in China, but stinky breath? Not so much. Studies show that as China’s middle class continues to grow in wealth, so does its pursuit of better health – including oral care. In fact, more and more Chinese consumers are seeking high-quality oral-hygiene products for their daily ablutions. Topping that list? Mouthwash. In 2017, mouthwash sales in China grew more quickly than all other 105 products in the fast-moving consumer goods category, according to a report by Kantar Worldpanel. The 48.6% year-on-year surge was driven by a “go-upscale” trend among middle-class families responsible for much of China’s consumption growth, said Jason Yu, Kantar Worldpanel’s general manager for Greater China. The trend wasn’t lost on Johnson & Johnson, one of the world’s leading makers of personal-care products, including Listerine. 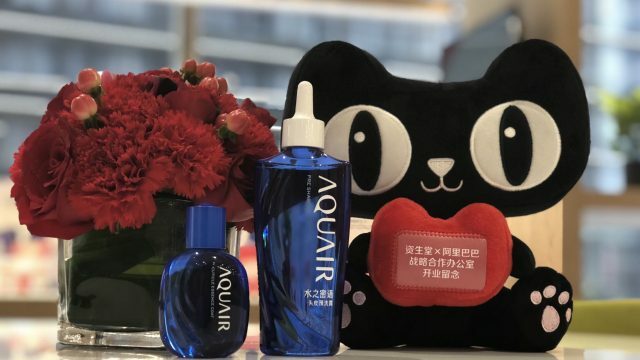 So, to capitalize on China’s growing love affair with mouthwash, the company turned to Alibaba’s Tmall Innovation Center for help. 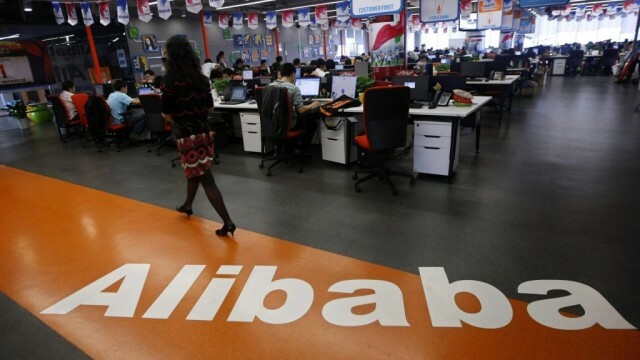 TMIC is the market-research division of Alibaba Group’s B2C marketplace, Tmall. Established last year, TMIC uses consumer insights gleaned from the technology giant’s vast ecosystem of e-commerce and media sites to help brands develop, design and market new products specifically to Chinese consumers. Listerine’s signature, neon-colored mouth rinse is already ubiquitous in both China’s offline stores and online shopping portals. But Johnson & Johnson wanted still more growth. The question was how? There had to be a way to reach new customers and retain those it already had, while besting rivals who also wanted to tap the China market. For Johnson & Johnson, that meant putting TMIC’s advanced algorithms to work to create two new flavors of Listerine: Rosemary Blossom and Vanilla Breeze. The flavors were designed specifically to target women, a demographic that showed the greatest likelihood to buy mouthwash if there was an option with a milder taste and less of a kick, according to TMIC research. More importantly, TMIC’s insights into oral hygiene in China, coupled with feedback on from Tmall customers, allowed Johnson & Johnson to cut the time needed to bring its new flavors to the market to five months from the usual 12 to 18 months. That speed is especially important in China, where customer preferences are constantly changing and evolving, said Ellie Xie, the president of Johnson & Johnson Consumer in China. Launched exclusively for Tmall for Double 11, the two new flavors of Listerine have already made a big splash. They were Johnson & Johnson’s star product during this year’s 11.11 Global Shopping Festival, the world’s largest shopping event, as consumers purchased over 10,000 bottles on Tmall in the first five minutes of sales. 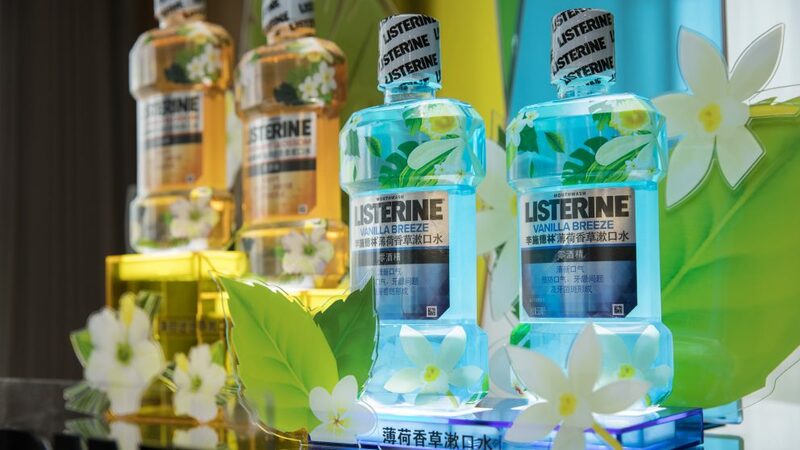 Listerine’s success is just the latest example of TMIC helping brands, whether Chinese or international, navigate the second-largest – and, arguably, the most-important – consumer market in the world. TMIC has partnered with over 80 companies so far, including household names such as Sony, Hasbro, Unilever, Mars, Mattel, Nestle, Mondelez and L’Oreal. For example, last year, Mars worked with TMIC to create a chili-infused Snickers bar, aimed at Chinese consumers’ love of spicy food, that reached its first-year sales target in six months. During this year’s 11.11, the conversion rate, or the percentage of visitors to Mars’ Tmall flagship store who completed the transaction, for Spicy Snickers hit 12.7%, much higher than the average. Co-created with TMIC earlier this year, this “Spicy Snickers” by Mars gives Chinese consumers a taste of chocolate and chili all in the same bite. Spicy Snickers are now available in all major supermarkets nationwide. Another advantage TMIC offers is for brands to test their new products on Tmall, providing access to the half-billion-plus Chinese consumers shopping on Alibaba platforms. All products co-created with TMIC sell exclusively on Tmall for a period of time during which their performance is monitored so brands can make any needed adjustments to ensure success. This consumer-centric approach to product development has turned the traditional top-down model on its head. Instead of brands delivering products to market and hoping for success, consumers tell brands what they want first. It’s C2B (customer-to-business) rather than B2C, and it’s at the core of New Manufacturing, a data-based manufacturing process largely driven by consumer demand that was first named by Alibaba Executive Chairman Jack Ma in 2016. By comparing its own insights with those of TMIC, Mondelez created its very first “8-in-1” multiflavored Oreo pack specifically for the Chinese market. The variety pack is sold exclusively on Tmall. Apart from being the most-populous nation, China is also the world’s largest retail market, followed by the U.S. Chinese government statistics show that in the first quarter of 2018, China’s retail sales reached $1.42 trillion, versus $1.30 trillion reported by the U.S. Bureau of Consensus for the same period. To capture this booming consumption, brands understand it’s not enough to just pour products into China. The secret to grabbing Chinese consumers’ attention is to offer them products that are customized, localized, personalized and made exclusively for them. With that understanding, Mondelez International, the U.S.-based snack maker of Oreo and Cadbury eggs, earlier this year sought out TMIC’s expertise when it wanted something exclusively for the China market. “We started working together on that earlier this year. What we did is we compared our own data with those provided by TMIC. We wanted to find what the commonalities are between the two sets of data. Variety is one of the things that stood out,” said Joost Vlaanderen, managing director of Mondeleze China. Mondelez also identified “spicy” as a potential flavor to add to the China Oreo’s portfolio. Such decision echoed TMIC’s earlier discovery that spicy is the most beloved flavor in China. “So, we thought, why not just combine the two? Not just with your original flavors, like chocolate or strawberry, but flavors that resonate with Chinese consumer,” he added. The result: a China-only multicolored and multiflavored “8-in-1” variety pack that includes two funky flavors – hot chicken wing and wasabi. “Eight different flavors in one box. Never done before, first one in Oreo globally. And I can’t wait to see that being replicated elsewhere in the world,” said Vlaanderen. The variety pack was a hit: Over the three-week 11.11 season, 34,500 boxes of “8-in-1” Oreos were sold, making it the second-most-popular item on the Oreo Tmall flagship store. Now, Anheuser-Busch InBev is signing on. The world’s largest beer company, which counts Budweiser and Corona among its best-selling brands, is working with TMIC to create a craft beer for China. What flavor do Chinese consumers want? According to research conducted by ABI and TMIC, chocolate with an orange twist. French cheese maker Milkana teamed up with TMIC earlier this year to create its first gift box solely aimed for consumers in China. Not all brands need TMIC’s help to design products for China. For example, Milkana’s cheese lollipop – it looks exactly as it sounds – is already the leader in China’s kiddie cheese market. However, the French cheese company wanted its product to create an occasion for Chinese parents to spend more time with their children. This prompted the creation of Milkana’s very first gift box. TMIC researched the top-selling gift boxes on Tmall, as well as the most-popular designs. Then, through focus groups with Chinese consumers, TMIC and Milkana found that a polar-bear themed, pop-up box with trivia questions would offer children a fun, educational and treasure hunt-like experience– by answering questions correctly, the child earns a cheese lollipop as a reward. “The most-valuable thing of our partnership with TMIC is they worked with us to digest and analyze the data. Throughout the collaboration, TMIC kept reminding us that what we want to create is not just a combo gift box, but something that’s beyond the product itself,” said Jessie Zhao, head of marketing for Milkana in China. She pointed out that with TMIC on board, the entire product-development process took six weeks rather than what would typically be six months. One of TMIC’s services is to help brands make informed decision what existing products to bring into China, like this rocker from Fisher Price’s baby gear line. For many global retail companies, especially industry leaders such as Mattel, China is a familiar playground. Many of their brands, such as Barbie and Fisher Price, are already known to the average Chinese consumer. But that doesn’t mean those consumers are unwilling to purchases other products from the brand that may be new to this particular market. Mattel did an extensive study on China’s millennial mothers in partnership with TMIC. According to a white paper on Chinese millennial parents they co-authored, Chinese mothers born after 1990 are more independent than their mothers, and, for them, mommy-and-baby products should add to and accentuate their own personal fashion style. With those insights, plus additional data analysis provided by TMIC, Mattel was able pick out exactly which products of Fisher Price’s baby gear line to bring to China. “Through our collaboration, we were able to identify the right SKU, the best price points and a marketing campaign that can maximize the product’s appeal to the Chinese consumer,” she added. An assortment of Fisher Price baby gear specially selected with Chinese mothers will be launched next year. 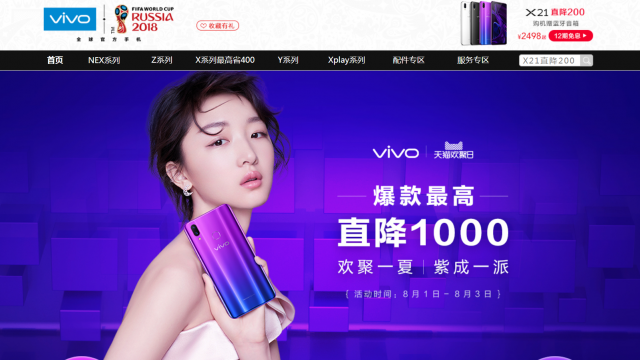 Brands right now are hyper-focused on China’s online retail market, which saw 29% year-on-year growth in January to August period of this year, according to the Ministry of Commerce. But they’re also deepening their presence offline, where about 83% of shopping in China still takes place. For example, Mars, despite all of its success online, said that about 90% of its sales still come from brick-and-mortar stores. To take advantage of that trend, Mars and TMIC are partnering on a data-driven initiative that would put specific products in specific neighborhoods based on the preferences of Chinese consumers living there. Mars also plans to use New Retail strategies to broaden its offline customer base, said Zoe Zhao, who heads the Mars Wrigley Confectionery New Retail Transformation team. By using Alibaba technologies, such as smart vending machines, shoppers can sample a Mars product and give real-time feedback through the machine’s interactive screen. “This will greatly help us understand what customers like, and we can use the information to decide on our product assortment, not just offline but online as well,” she said.